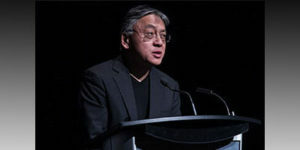 In 2010, Random House of Canada and the Toronto International Film Festival (TIFF) formed a partnership to produce an event series that would bring together book and film lovers, called Books on Film. The idea was conceived to give audiences an opportunity to examine great cinema that began as outstanding literature, with a behind-the-scenes look at some of their favorite book-to-film adaptations. 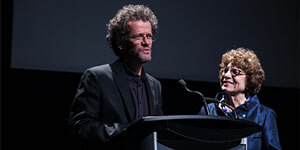 Each spring, the Books on Film series includes six events, all of which feature the presentation of a film along with a special onstage interview with authors, filmmakers, and industry experts, and each event is hosted by CBC Radio personality Eleanor Wachtel. 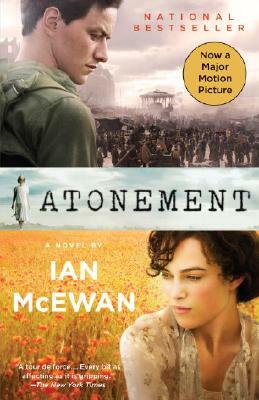 Seven years later, Penguin Random House Canada remains TIFF’s dedicated programming partner for this series, and Books on Film has become TIFF’s most popular program for their subscribers. Films that have been featured in the series include Moneyball, Midnight’s Children, and Atonement, and participants have included authors Kazuo Ishiguro (this year’s Nobel Laureate and pictured in the above photograph), Yann Martel, Zadie Smith, and Colm Tóibín along with director and screenwriter Deepa Mehta and actress, writer, and director Sarah Polley, to name just a few. The Books on Film series provides Penguin Random House Canada with the opportunity to showcase our books to TIFF’s large audience, through the events themselves, at which we have the opportunity for promotion of related titles as well as the film tie-in title being featured, and through advertising and outreach about the series to TIFF’s extensive database. This partnership has also led to opportunities to work with TIFF on other author events, such as a special event featuring author Lilly Singh earlier this year. To develop the lineup of events each year, the Penguin Random House Canada marketing team puts forward ideas based on our extensive backlist of movie tie-in titles, and we discuss these ideas with the organizers at TIFF and with the host of the series, Eleanor Wachtel. Wachtel is the longtime host of CBC Radio’s flagship national literary program Writers & Company, in which she interviews writers from all around the world. She plays a key role in curating the list of films to be included in the series, and the pairing of the films with great interviewees for the events. This has been a very successful partnership for Penguin Random House Canada, and we are pleased to see it continue. Planning is now under way for the 2018 Books on Film series.